Acute pancreatitis is a sudden inflammation of the pancreas. Depending on its severity, it can have severe complications and high mortality despite treatment. While mild cases are often successfully treated with conservative measures, such as NPO (nil by mouth or NBM) and IV fluid rehydration, severe cases may require admission to the ICU or even surgery (often requiring more than one intervention) to deal with complications of the disease process. The use of a new class of drugs in the treatment of type 2 diabetes, so called SGLT2 inhibitors, are linked to a twofold increased risk for lower-limb amputation as well as diabetic ketoacidosis, a serious diabetes complication. All mammalian cells need a ready supply of calcium ions to execute functions as diverse as neurotransmission, muscle contraction, hormone release, or immune responses. So fundamental is this requirement that cells protect themselves from disaster by storing calcium in a network of intracellular cisterns called the endoplasmic reticulum, or ER. The NHS has listed 20 most painful conditions that are such excruciatingly painful that they can lead to severe debilitation that prevents a person from performing their daily activity. Dr Robert Cramb gives an introduction to the rare disease FCS, and how HCP's can best advise and support patients with the condition. Pancreatitis in ethnic minorities is linked to very high levels of triglycerides and the risk is further increased by alcohol abuse and gallstones, according to a study published in the journal Endocrine Practice. Management and treatment decisions made within the first 48 to 72 hours of hospital admission for acute pancreatitis patients can significantly alter the course of disease and duration of hospitalization. When the excruciating pain of a pancreas attack sends someone to the hospital, eating is probably the last thing they're thinking of. And for decades, medical teams have kept such patients away from solid food for days. UT Southwestern Medical Center researchers have uncovered the mechanism by which the stress hormone FGF21 keeps digestive enzymes from damaging the pancreas. Researchers from the San Francisco Veterans Affairs Medical Center and UCSF, and CalciMedica, Inc., are presenting a poster at the 46th annual Society for Neuroscience meeting in San Diego describing the use of calcium release-activated calcium (CRAC) channel inhibitors in traumatic brain injury (TBI). New research from the University of Copenhagen shows that mild to moderate levels of blood fats equals an increased risk developing acute pancreatitis. It is far more serious than we previously believed it to be, according to the professor behind the study. Larry Jacob got the call every parent fears. His daughter was sick, away at college and needed help. Mr. Jacob left his home in the Chicago suburbs and was driving to Western Illinois University when he suddenly doubled over in pain. Researchers have identified a rare genetic variation associated with a dramatically increased risk of severe acute pancreatitis in acute lymphoblastic leukemia (ALL) patients treated with the chemotherapy agent asparaginase. St. Jude Children's Research Hospital led the study, which appears today in the Journal of Clinical Oncology. The burden of recurrent acute and chronic pancreatitis in children may be higher than previously thought, with high costs related to repeated hospitalizations, report a pair of studies in the Journal of Pediatric Gastroenterology and Nutrition. Idiopathic pancreatitis is often caused by small gallstones that are difficult to observe prior to surgery, shows a study from the University of Eastern Finland. Small gallstones were found in surgery from two out of three idiopathic pancreatitis patients. Researchers at Lund University in Sweden may have discovered one of the keys to understanding how the body develops acute pancreatitis. The results offer hope for the development of drugs that specifically target the disease. Researchers from CalciMedica, Inc. and the University of Liverpool today announced the publication of a paper describing positive effects of calcium release-activated calcium (CRAC) channel inhibitors in animal models of acute pancreatitis. The paper, titled "Inhibitors of ORAI1 prevent cytosolic calcium-associated injury of human pancreatic acinar cells and acute pancreatitis in 3 mouse models" appears in the August edition of the journal Gastroenterology. 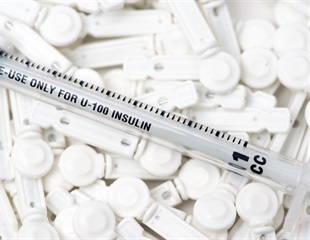 A clinical trial of the glucose-control drug sitagliptin among patients with type 2 diabetes and established cardiovascular disease has found it did not raise the risk of major adverse cardiovascular events. Novo Nordisk today announced that the Food and Drug Administration (FDA) has approved the new drug application (NDA) for Saxenda® (liraglutide [rDNA origin] injection), the first once-daily glucagon-like peptide-1 (GLP-1) receptor agonist for chronic weight management.